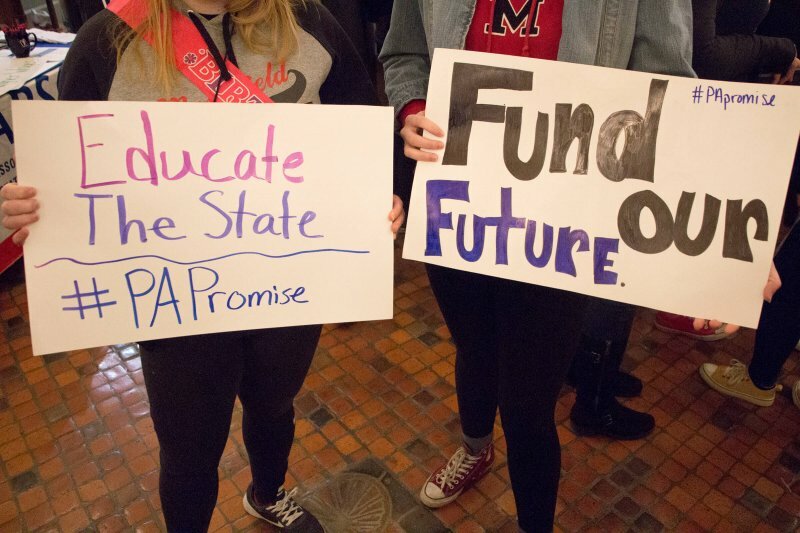 Around 200 students and officials gathered for the cause of affordable education on Wednesday, March 27, in the main rotunda of the capitol complex in Harrisburg. Around 150 students from PASSHE schools shared this message both through their signs and voices as Hughes (democrat, 7th district), began the rally with greetings before turning it over to representative Jordan Harris (democrat, 186th district). Harris holds a bachelor’s degree from Millersville and understands firsthand the struggle of getting through college as his grandmother would send him $100 every two weeks just so he could eat. Harris feels that we must do what we can “to ensure that our young people have all of the tools necessary to succeed,” something that is not an option, but a requirement, he explained. Before the rally started, Mash noted that the faculty and student participation was impressive and stressed the importance of public involvement. “We need to do a better job for this generation,” he said. 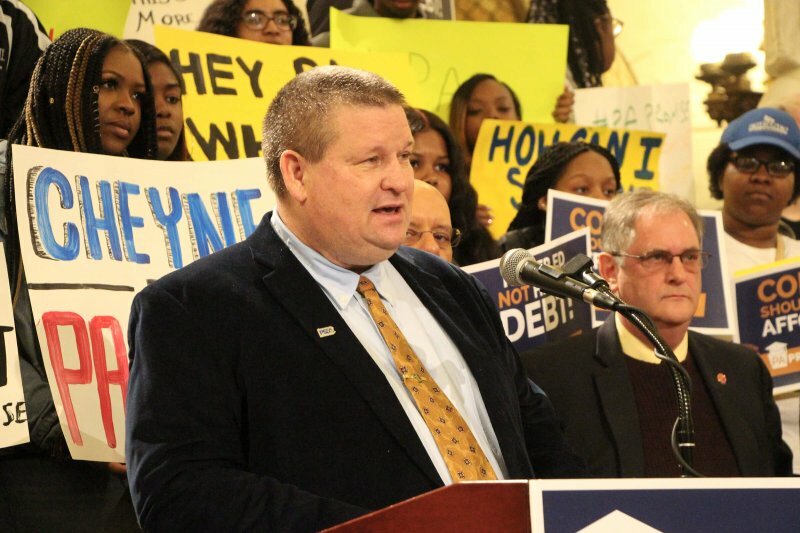 Information was displayed on charts in the capitol saying that Pennsylvania ranks as number one in the nation for student debt, that over 1.8 million state citizens carry debt, and in 2017 the average Pennsylvania graduate carried over $36,000 in debt. In addition, it read that the national average for housing insecurity, or, as Huduser.gov states, the inability to find “adequate affordable housing near their campus” is 56 percent for community college students and 36 percent for college students. 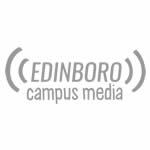 Food insecurity, which is a “household’s inability to provide enough food for every person to live an active and healthy life,” meanwhile, hits 51 percent of Pennsylvania community college students and 36 percent of university students. In the U.S. overall, 1/8 of people struggle with hunger, according to Feeding America. Students from all types of financial situations came to support. Khala Vines, a sophomore from Indiana University, said that she would not be where she is without her scholarship, and credits that more than her Free Application For Federal Student Aid (FAFSA). With the FAFSA, students are able to get the Pell Grant, which is state-provided and something that Kayla Losito, a senior at Mansfield University, would like to see continue until things improve. Elyse Elsbree, also of Mansfield, will graduate debt free due to parental support, yet came to show her support and help “make a better future” as she understands the struggle. 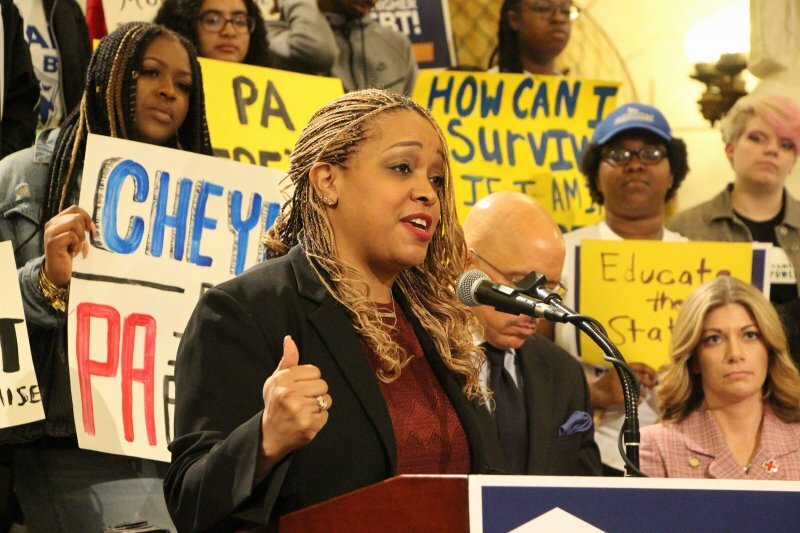 Many other concerns were addressed, such as student homelessness, the struggle to buy necessary materials like textbooks, neglecting basic needs such as hunger, and having to leave Pennsylvania to continue one’s education or abandoning it altogether. The latter was something Korri Brown, vice president of the Pennsylvania State Education Association (PSEA) and an alumnus from West Chester University, has witnessed. “No Pennsylvanian needs to face that sort of decision,” Brown said, who also shared that the number of college students pursuing a degree in education has decreased 55 percent from where it was in 1996 and 40 percent from 2010.